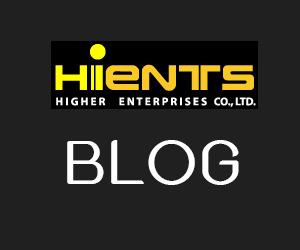 กระดาษทดสอบ Nitrite ions (Potassium iodide starch paper) | Higher Enterprises Co.,Ltd. This test paper allows the quick and easy detection of strong oxidizers such as nitrite and free chlorine. Potassium iodide starch paper is also used to control diazotization reactions. Nitrite or free chlorine oxidize potassium iodide to form elemental iodine which reacts with starch to a blue-violet complex. 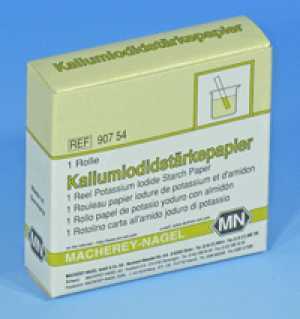 Potassium iodide starch paper may be used by dipping it into the sample or by applying drops of the sample onto the paper. To detect gaseous oxidizers, the paper is moistened with distilled water and then exposed to the gas in question. The 816 N version comes in a classic test paper reel. You can choose the required test paper length simply by tearing the paper. Thus, MN 816 N is especially suited to be dipped into solutions. The 616 T version consists of a tube with 200 test paper strips in 2 x 7 cm (0.8 x 2.8 in). Due to the handy size of the individual papers, the 616 T version is especially convenient for spot-tests.